Within the pages of a literary text lies a cosmos, each chapter hosting a world citizened by people of faith and doubt. Here, authorial intention, cultural representation, imagination, characterization, and realism constellate in textual code and the symbol, in diction and device, in tropes of verisimilitude, and in themes of selfhood and otherness to generate a moral worldview. Twentieth-century modernist literature—to which I’m drawn and in which I specialize—marks both a seismic shift in worldviews as well as a kaleidoscope of worldview itself. In modernism, there are many moral paradigms, but common to them all is the centrality of the self. Among Modernism’s writers, Ernest Hemingway stands as one of the movement’s most exemplary figures, an author unparalleled in illustrating the absence of the spiritually other as the heart of the self’s plight. Hemingway’s works demonstrate the mores of modernism, those themes of self-isolation, spiritual laceration, and nihilistic morality that defined a “lost generation,” as Gertrude Stein labeled it. In Hemingway’s works, humanity struggles to find and recover itself from those emotionally fragmented relationships that populate a bleak existential reality. As an interpreter of literature whose lens is utterly Christian, I find Hemingway’s writing a complexly fascinating representation of an unredeemed reality, a worldview that betrays its need for the very divine presence it resists. I’m stricken by Hemingway’s recreation of a refractory human condition defined by a morality that reaches for transcendent spiritual meaning with a closed fist. Yet, reach it does. While Hemingway’s fictive worlds are populated with the emotionally wounded, the physically derelict, and the spiritually lost, they promote a resistance to Christian truth that yet resonates with a profoundly apologetic acknowledgement of that truth’s reality. Here, I’ll take a brief glance at Hemingway’s The Sun Also Rises to draw out that veiled apologetic. This novel, Hemingway’s earliest and whose title is taken from Ecclesiastes 1:5, captures humanity’s perennial moral dilemma: man’s attempt to find purpose and meaning in a world seemingly bereft of absolute truth but full of fractured communities. The Sun Also Rises has no God to speak of—at least not an active, immanent, or apparent one—nor any other authority placed above man except that which derives from man. Yet it is precisely an absence of God that haunts the novel, creating a modernist apologetic of misplaced desire for greater life meaning. True to its titular source, The Sun Also Rises decries human longing without divine fulfillment. The novel’s world is that of the self in painful void of the theologically other. The reader sees no God, though feels the need for His presence. Jake Barnes, the first-person narrator of the story, is written as a wounded individual—physically, emotionally, relationally, and spiritually—whose experience in the Great War has left him physically marred and desexualized. Jake loves Brett (Lady Ashley), who feigns reciprocated love for Jake but resists giving herself to him because of his sexual impotence, even refusing to live with him due to fear of her own infidelity. Both Jake and Brett are part of a larger social circle of morally flawed characters, caught in lives of debauchery. After a series of promiscuous affairs, Brett rejects Jake for another suitor, leaving him in a state of dejection. Through such a mercurial myriad of relational instabilities, the reader follows Jake, the novel’s self-referential “I,” as he approaches life significance with a mercenary understanding that moral meaning was a tradable commodity bought and sold in the market of experience. No higher good matters in Hemingway’s modernist morality. All one can do in life is live it, and there is no room for meaning beyond existence and experience. You gave up something and got something else. Or worked for something. You paid some way for everything that was any good. I paid my way into enough things that I liked, so that I had a good time. Either you paid by learning about them, or by experience, or by taking chances, or by money. . . . Perhaps as you went along you did learn something. I did not care what is was all about. All I wanted to know was how to live in it. Jake’s practical existentialism exchanges any kind of spiritually underpinned or absolutist morality for a rather bleak pragmatism. Jake cares not for meaning but for social functionality. This passage immediately follows Jake’s bitter response to his relational despairs with Brett Ashley. Jakes says, “To hell with women, anyway. To hell with you, Brett Ashley.” Here Jake operates along the lines of his own isolation in which his relational distanced proximity to others determines, in part, his estimation of self-worth and morality. In Jake’s melancholic world of self-enclosed morality—a virtual display of vanities upon vanities—beliefs do not shape man’s moral makeup. Instead, self-protection reigns. If Jake cannot have Brett, then he will damn her. And while the novel features sparse solitary acts of “rightness,” as in Jake’s compensating the prostitute for her wasted evening, each gesture proves to be of no real consequence—yet another dimension of the novel’s display of meaninglessness. For Hemingway, moral positioning takes place in relation to the community, or lack of, as opposed to God or a higher authority. Pre-modern models of authority would have certainly shown the importance of understanding life in relation to transcendent meaning rather than an inward-turned existentialism as seen in The Sun Also Rises. Buried within the self, however, and twisted up with that inward turn rests a cautionary tale of life without the sacred. As a Hemingway-esque sun of moral emptiness rises on the novel’s broken characters, an apologetic from the absence of God appears. Modernist morality shores the fragments of wounded morality against the ruins of the human condition, revealing and arguing for the need for divine presence. Absent any divine presence, characters futilely search for moral meaning in a murky society of modernist selves, a world of wounded egos in relationship with other wounded egos. It’s remarkable how often Hemingway’s common theme of broken relationships opens up into a consideration, albeit cynical, of existential virtue with an ever-present realization that life can, indeed, be wasted. Like many other early- to mid-twentieth-century modernist authors who lived through and wrote intently about death, Hemingway draws on this imagery to communicate the ecclesiastical futility of life, bringing this message to the forefront of the novel as death looms over the characters. Jake is a wounded veteran who has seen and nearly experienced death. Romero, a matador, exemplifies death by characterization and vocation and embodies modern man’s nearness to death. Hemingway uses this character to overemphasize death, drawing on the metaphor of bullfighting to demonstrate its vitality and its symbolic significance of fully living life. “Nobody ever lives their life all the way up except bull-fighters,” Jake says. Cohn, another example of modernist morality, is consistently portrayed as lifeless throughout the story: from his passive role in relationships, “I rather liked him and evidently she led him quite a life,” to his losing fight with Romero that essentially killed whatever spirit that remained in Cohn. The novel’s worldview of self-centered morality includes its characters’ perpetuating dismal fates, symbolic deaths, and self-destruction. Highly impressionable, Cohn’s experiential and emotional capacity depends on his falsely constructed ideas of reality, primarily derived from books and the women who have ruled him. Jake observes, “Several women had put themselves out to be nice to him [Cohn], and his horizons had all shifted.” Jake even attributes to the writing of Mencken Cohn’s inability to enjoy Paris. Cohn’s easily swayed romantic notions of women and wandering are partly pursuits of “purification,” as Hemingway writes it. By fleeing to new places and experiencing new dynamics of community, Cohn seeks a kind of self-cleansing. Man’s search for higher meaning takes a thematic turn, when Jake warns Cohn to not seek new geographic places as a way to finding one’s meaning in life. In a conversation between the two about travel from France to Spain, Jake depicts France as a corrupt country, a place where value is determined by money, “Everything is on such a clear financial basis in France. . . . If you want people to like you you have only to spend a little money.” Jake contrasts this with Spain, where financial value and exchange are minimized in light of the celebratory mode of carefree living. In Spain, “[e]verything became quite unreal finally and it seemed as though nothing could have any consequences. It seemed out of place to think of consequences during the fiesta.” Jake and his expatriate community move spatially in attempts to move meaningfully. In the end, their attempts to find meaning by experience and adventure are tainted by the presence of their “selves.” The idea that Jake initially set up of not getting away from self by going to different places still holds up; no matter where they go, there they are. The self is omnipresent. The great irony of modern morality is that the hellish, unfulfilling feast of relationships proves to be precisely the greatest desire of the modern man. Hell, a term used often in the context of community, spreads through the “herd” of wounded society. In a moment in the novel when Jake talks about steers and the vulnerability of a lone steer, Bill promptly exclaims to Mike, “Don’t you ever detach me from the herd.” Morality in modernism centers, if it can indeed truly be centered, on the herd, the community of the flawed. As impossible as it may be for Hemingway’s heroes to relate to one another in a healthy and fulfilling fashion, it is even more impossible for them to live without relating to one another. There is no room for true individualism in Hemingway’s moral prescription. The novel denies ultimate fulfillment of meaning and truth but assumes man’s innate desire for them through relationship. If higher life meaning exists, it must be sought, though vainly, in the herd. The tumultuous love affair between Jake and Brett concludes with them sitting in a cab together. 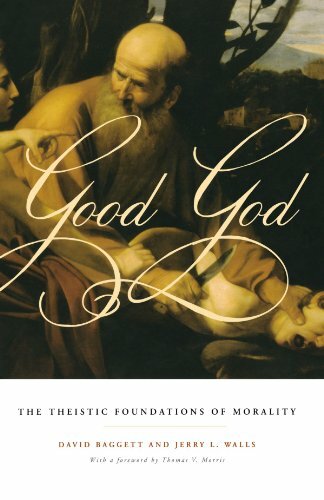 While “God” has been convincingly displaced in the novel, leaving only the self and other selves to regulate morality, His unaccepted presence haunts the world of the text. 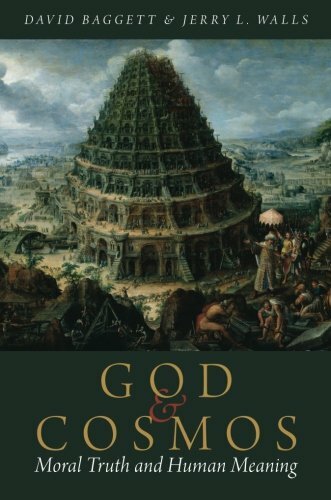 In fact, a rare acknowledgement of God hosts one of the novel’s most honestly intimate moments: “We sat close against each other. I put my arm around her and she rested against me comfortably. . . . ‘Oh, Jake,’ Brett said, ‘we could have had such a damned good time together.’ . . . ‘Yes,’ I said. ‘Isn’t it pretty to think so?’” In the world of The Sun Also Rises, divinely authored moral meaning crumbles under the weight of broken life experience. Exemplified by a distinct displacement of transcendent meaning and the presence of fractured community, the meaning of morality proves as perishable as the self. The transparently dismal hope of a good life found in the wounded community of Hemingway’s world betrays a wantonly fraught human desire for the divine. Without God, the human condition remains bound to a hellish expression. Unless one ascends past the meaninglessness of selfed morality, like Solomon himself, one can’t live life “all the way up.” But isn’t it pretty to think so? Corey Latta holds a BA in Biblical Studies from Crichton College, an MA in New Testament Studies from Harding School of Theology, an MA in English from the University of Memphis, and a PhD in Twentieth-Century Literature from the University of Southern Mississippi. Corey is currently Vice President of Academics at Visible Music College. Corey is the author of numerous articles, poems, and three books, including “Election and Unity in Paul’s Epistle to the Romans,” and “Functioning Fantasies: Theology, Ideology, and Social Conception in the Works of C. S. Lewis and J. R. R. Tolkien.” His latest book, When the Eternal Can Be Met: A Bergsonian Theology of Time in the Works of C. S. Lewis, T. S. Eliot, and W. H. Auden, was published by Wipf & Stock in April.